Giving back is our mission, because your community is our community too. Exstilla offers small-batch, locally sourced professional grade skin care. They are committed to providing each customer with the highest standard of customer service. It is said that Webster’s first dictionary in 1806 defined success as being “generous, prosperous, and kind.” Regrettably, the most recently published definition of success is “getting or achieving wealth, respect, and fame.” We are honored to do business based on the 1806 definition and are proud of our strong community involvement. You may have noticed our famous pink delivery truck in honor of breast cancer awareness. One of our biggest charitable events is the Superior Sally Propane Request. For every customer who requests delivery from our Superior Sally pink truck, Superior Energy will make a donation to one of our charities. To this day, it's one of our favorite endeavors. That was the start of our current work in the community. Follow us on Facebook to see our current and past charity events, including pet adoptions and holiday toy drives. We take great pride in our hard work and dedication to our community involvement. 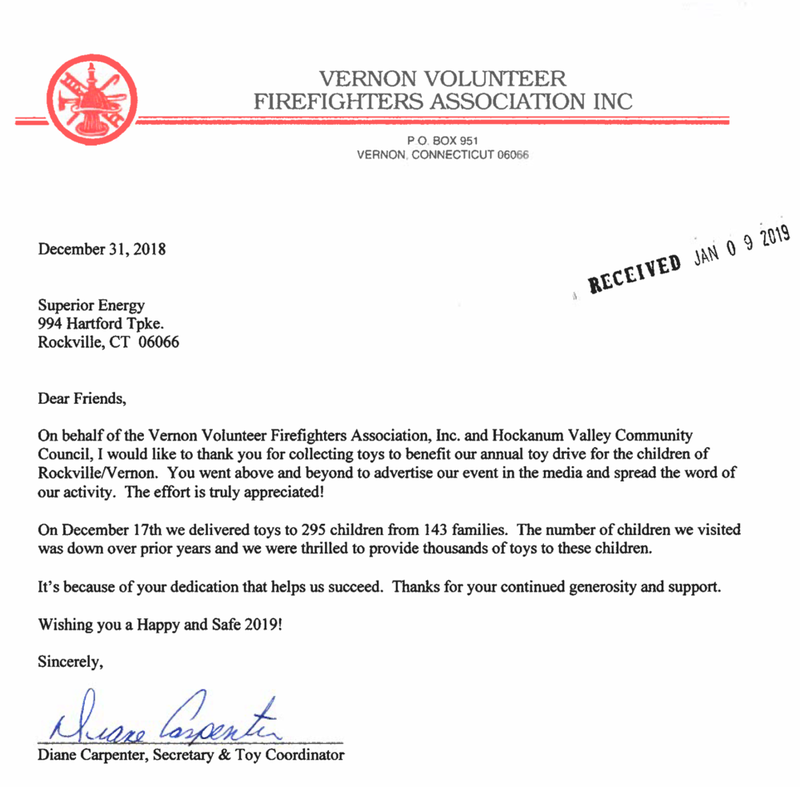 Thank you for helping us spread the joy of the season by donating to our annual Toy Drive with the Town of Vernon Fire Department. Happy Holidays! Another wonderful year at Valley Falls and a great day was had by all! 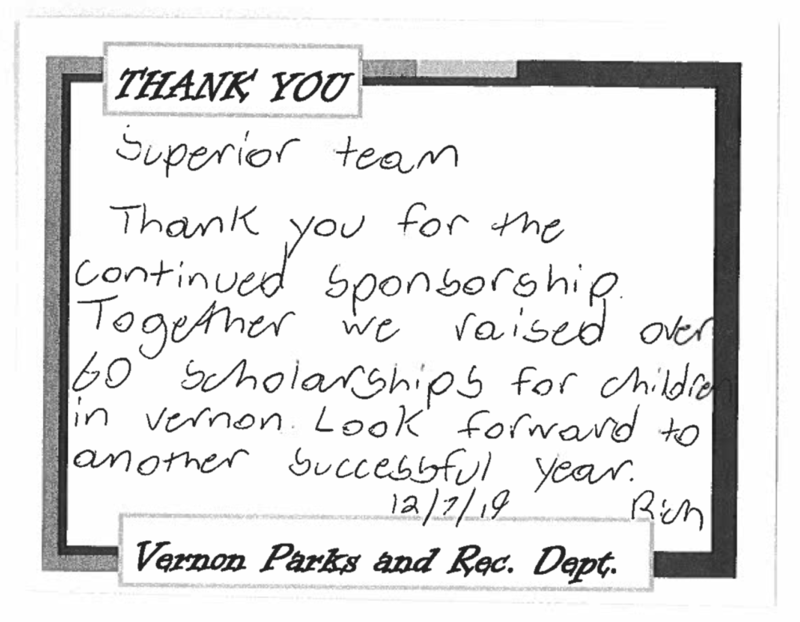 Dec. 1, 2018 was The Vernon Parks and Recreation Department annual Fundraiser to benefit their Send-A-Kid to Camp Fund. And Superior is proud to have sponsored to send twelve kids to camp next summer! In addition, congratulations to all of our raffle winners and thank you to everyone for helping us collect coat donations for The Cornerstone Foundation. 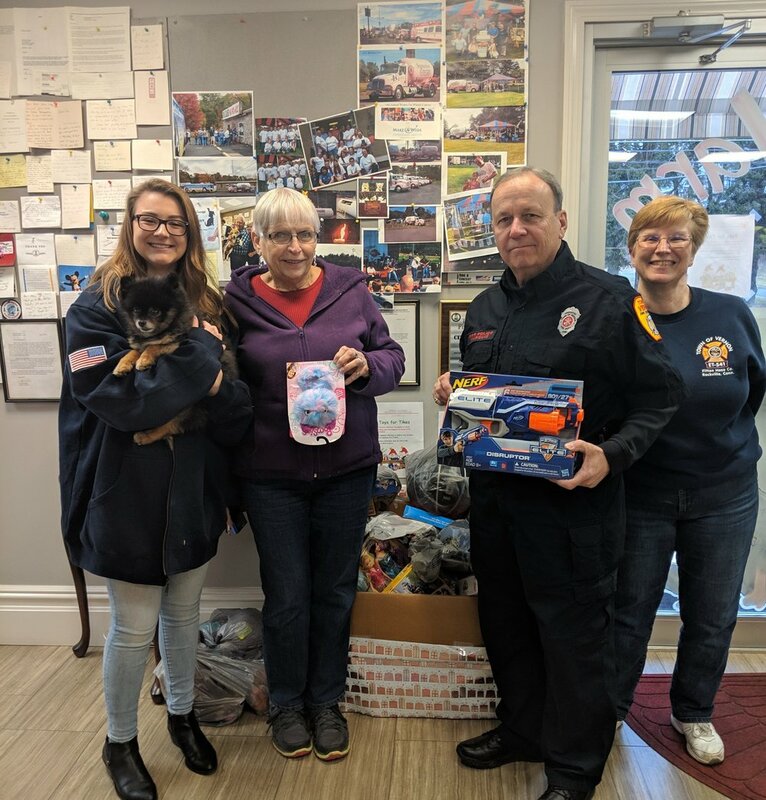 Our 2018 Annual Pet Adoption Event to benefit the CT Humane Society on October 20th was a great success! Thank you to everyone who came and donated and adopted! Over 10 pets went to their forever homes. In addition, over $6,000 was raised and donated to the incredible work of the Humane Society by children volunteers though the Humane Society Lemonade Challenge, Superior Energy, LLC and Somers Veterinary Hospital. 5K was donated by Superior Energy, LLC and 1K by Somers Veterinary Hospital. The Independence Day festivities continued at our Vernon Fun Zone at July in the Sky on July 10th as we celebrated another successful year of fun! 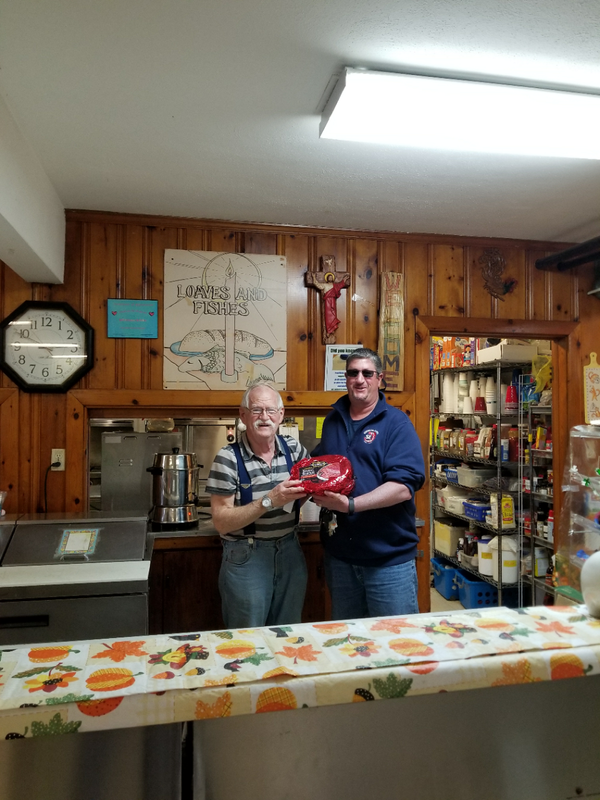 All proceeds were donated to benefit The Vernon Parks and Recreation Department summer camp program so that every child in our community has the opportunity to enjoy a fun-filled summer. 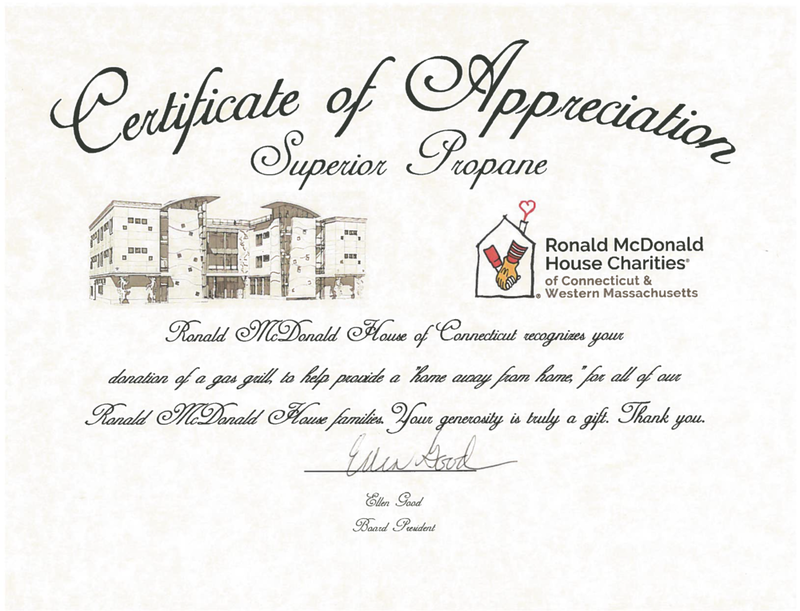 We are proud to support the wonderful work of the Ronald McDonald House of Connecticut. We hope their new propane grill will help the families create wonderful memories over lots of BBQs for years to come! We couldn't let them be without an Easter ham! It will be a happy Easter at the food kitchens of Enfield Loaves & Fishes and Little Sisters of the Poor - Enfield this year. Every year Superior Energy joins The Vernon Parks and Recreation Department to support their annual Send-A-Kid to Camp Fund. The 9th Annual Arctic Splash at Valley Falls Fundraiser fell on December 2nd this year. Superior also collected donations of coats to benefit The Cornerstone Foundation and those who donated coats and also registered for the Arctic Splash were entered into a special raffle for cash prizes provided by Superior. Over 50 coats were donated and Superior helped raise the funds to send the most kids to Summer Camp. Thank you for helping us spread the holiday joy this year! 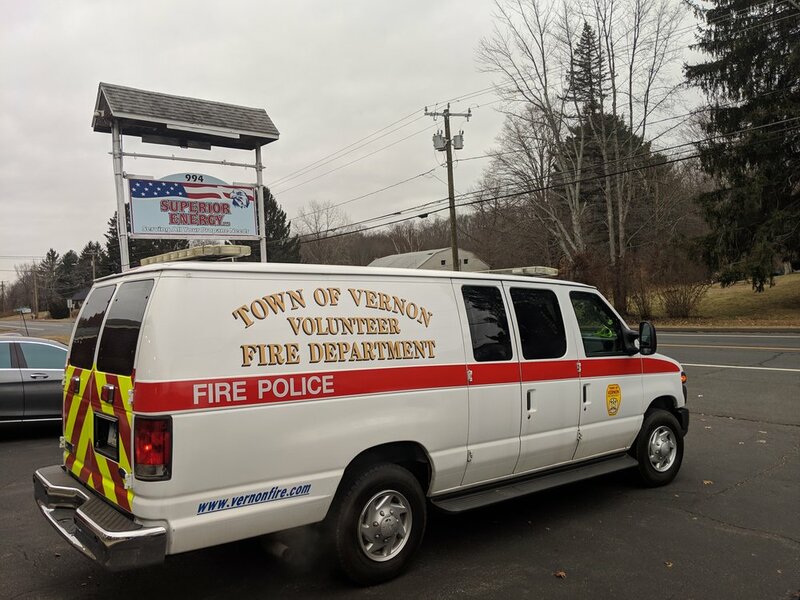 New, unwrapped toys, to benefit needy children in our community, were brought to our office and the Town of Vernon Fire Department gifted them to those in need!